Athbhliain faoi mhaise daoibh go léir agus ba mhaith linn buíochas a ghabháil libhse tuismitheoirí agus páistí as ucht céad téarma iontach a bheith againn go léir. Táimid ag súil go mbeidh an tarna téarma díreach chomh maith nó b’fhéidir níos fearr! Tús maith leath na hoibre. 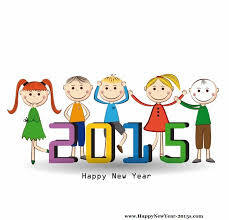 Happy New Year to you all and welcome back to our 2nd school term. We are delighted with all the great work done throughout the first term and are looking forward to an even more productive second term. 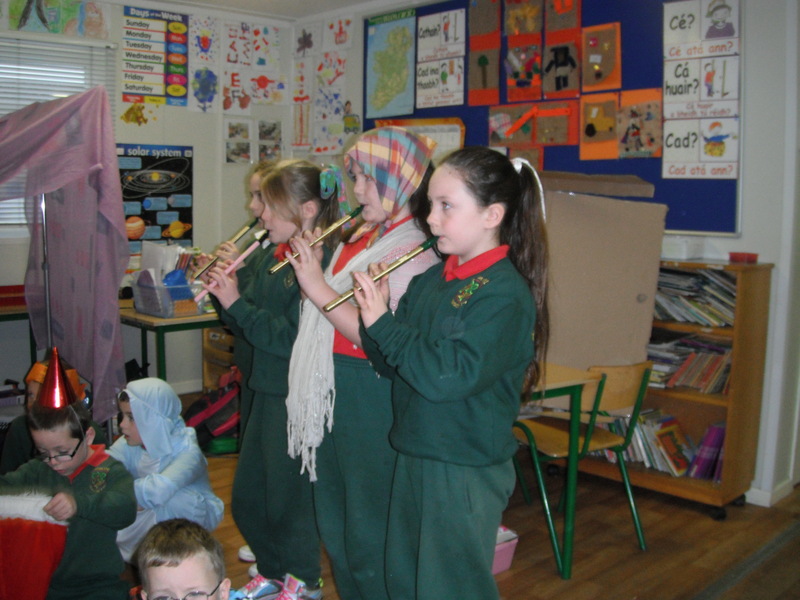 The Escalation (Music Generation Clare) term 2 began on January the 13th. It hopes to hold a summer performance the week commencing May 25th. 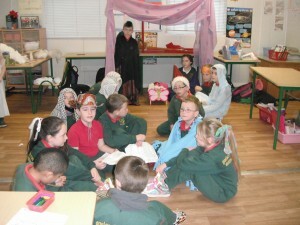 Molaimid na páistí rang 4,5, agus 6 a chan go binn sa chór san aerfort roimh na Nollag. They were a credit to you, the parents. 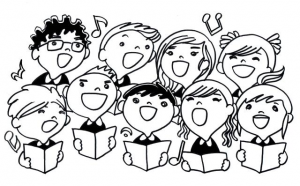 We enjoyed their outstanding singing talents and more is yet to come. Rince Gaelach/ Irish dancing: Leanfar ar aghaidh go dtí Mí Feabhra leis an damhsa . Dancing will continue for the month of February (every Thursday). The GAA will be organizing hurling and football skills training with all classes over the coming weeks. 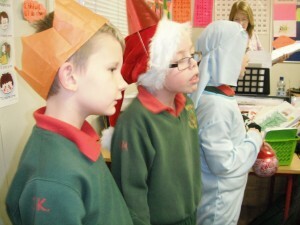 More details will be posted on the school website as soon as time and dates are allocated to us. 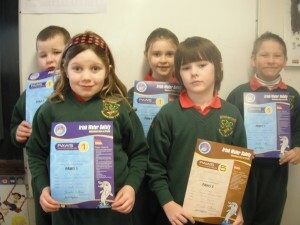 Well done to all the children that received their PAWS swimming certificate from Irish Water Safety/ Sábháilteacht Uisce na hĒireann this week . Swimming lessons will continue after the Easter break. Rang a 1 will continue with their trip to the library every second Wednesday and Naíonáin bheaga/ mhóra & rg a 1 will do P.E in the leisure center every Friday as usual for 2015. Rang a 4, 5 & a 6 are learning how to knit with the Shannon Senior Citizens in the library every Tuesday for the next 5 weeks. Ár mbuíochas chuig Kay Glody agus a cáirde agus leabharlann na Sionna. The Accelerated Reader Programme that was started in the school in September with rg a 2,3,4,5,& a 6 has been a great success to date. 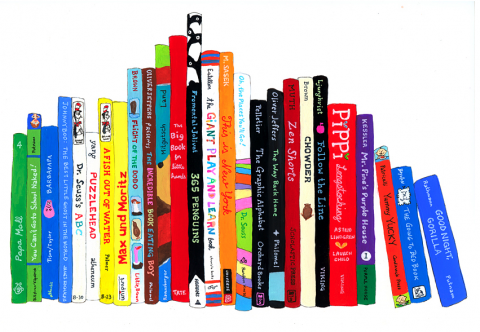 It has proven to be a great incentive that encourages the children to read more. 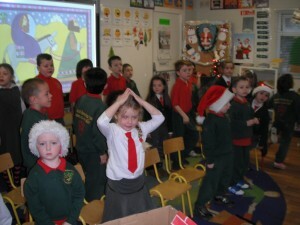 The Shannon Library have been a great help also in supplying books that are required for the programme. Today’s readers are tomorrow’s leaders! Comhghairdeas! Comhghairdeas d’Aoibhín Ní Annracháin a ghnóthaigh an chéad áit faoi 12 agus Kate Nic Roibeard a ghnóthaigh an triú áit sa chomortas ealaíona do na cluichí pobail. Congrats to Aoibhín for winning 1st place and Kate for winning 3rd place in the Community Games Art competition that the school recently took part in. We would like to wish Aoibhín all the best of luck for the up-coming County finals. 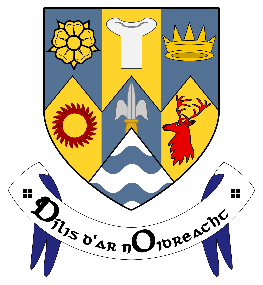 Coiste na dTuismitheoirí: Parents interested in being on the Parent’s Council have already submitted their names to the school. If you have time and would like to get involved, please submit your name as we would like to get it up and running as soon as possible. Ar scáth a chéile a mhaireann na daoine! 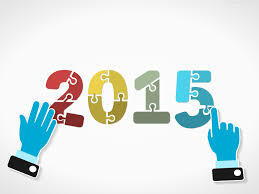 Beidh féilire 2015 ar díol go luath. Rachaidh an t-airgead i dtreo ríomhairí nua. As part of our 30 years celebrations we will be selling a school calendar and all proceeds will go towards buying new laptops for every classroom. Chuireamar ceistneoir Mata agus Gaeilge amach chugaibh.You all received and completed the Maths and Irish questionnaires that were given out last week. We would like to thank all guardians and parents that took the time to fill them in. We value your opinions and contributions and will use all the informationreceived as part of our on-going School Self-Evaluation and School Improvement Plan. 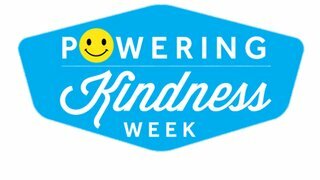 SPHE/ Social Personal and Health Education All classes have been taking part in the Powering Kindness week that took place this week. 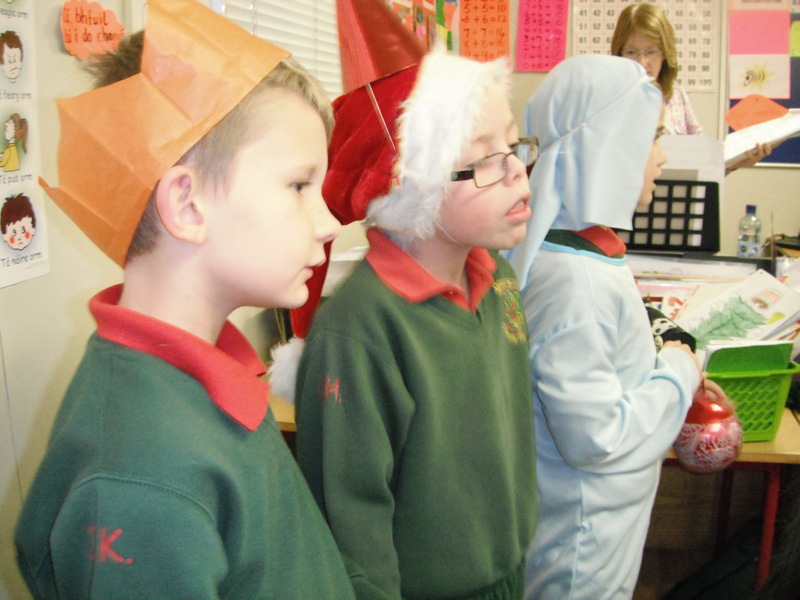 The children have been making a great effort to be kind at home and in school. 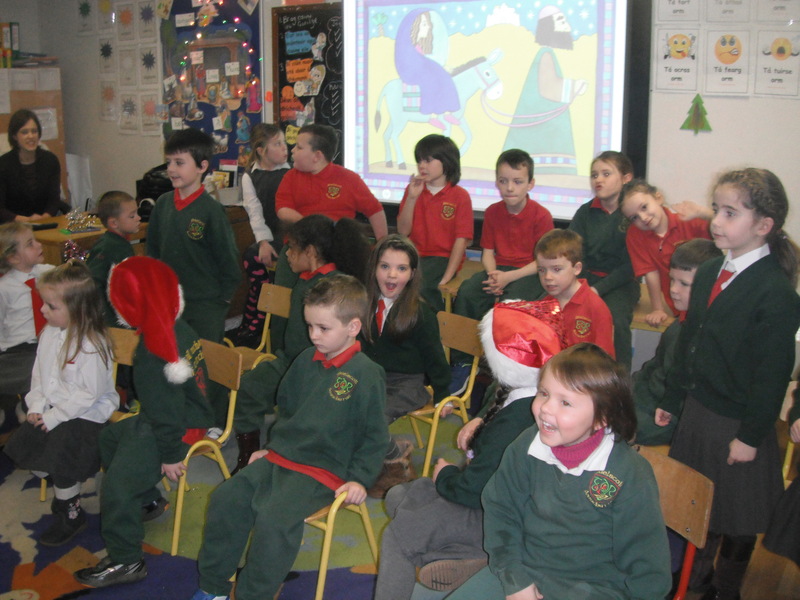 First class entered their kind deeds onto the Powering Kindness website and for each one entered Electric Ireland donates money to a charity, we chose the ISPCC as our charity. Maith sibh páistí, lean oraibh ! Junior Infants to third class will be taking part in The Food Dudes Healthy Eating Programme. It is designed to encourage children to eat more fruit and vegtables. More information on the programme is available at www.fooddudes.ie. Consent forms will be given to every parent before we introduce the programme. 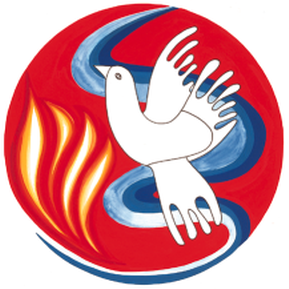 Confirmation Mass will take place at 11am in Mary Immaculate Church this Sunday the 25th of January. 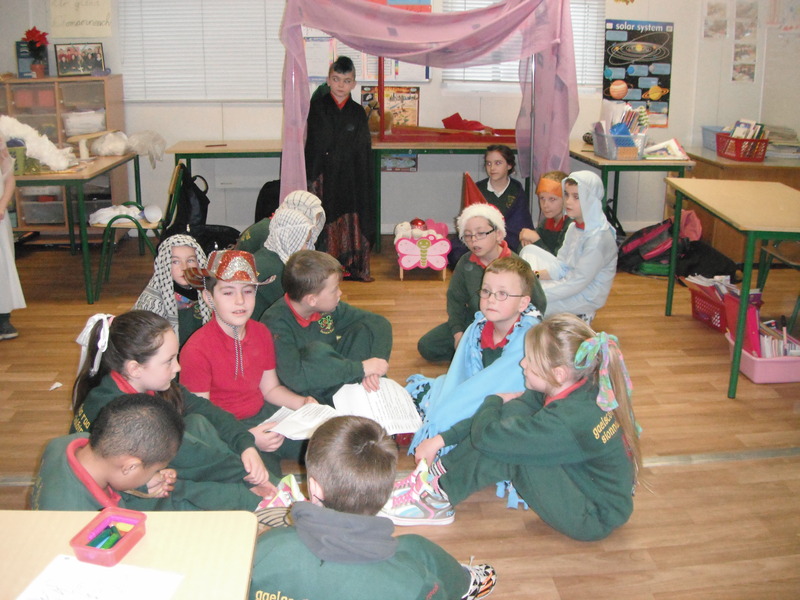 An Chéad Fhaoistin: Second Class will make their First Confession in the Adoration Chapel on Thursday 12th February at 1.30pm. Filleadh ar ais ar scoil (School re-opens) January 5th 2015. Briseadh an Earraigh (Spring Break) February 16th -20th. 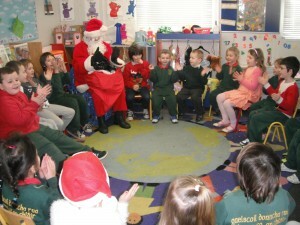 Bhí ceolchoirm na nollag iontach ag na naíonáin agus rang a 1. Go raibh maith agat chuig na tuismitheoirí go léir a tháinig ar an lá. Rinne Rang a 2 agus a 3 dráma iontach freisin, maith sibh páistí bhí sibh go léir ar fheabhas! 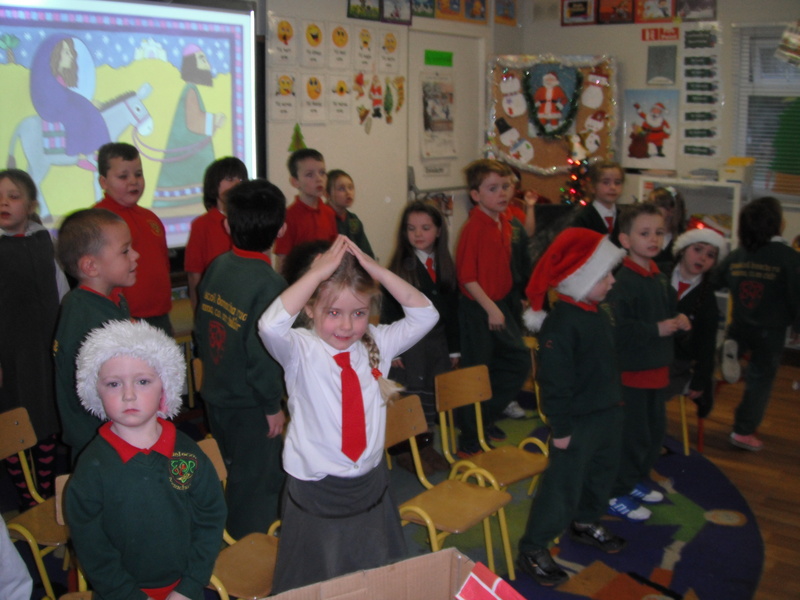 Tháinig Daidí na Nollag ar cuairt chuig an scoil freisin, bhí an- lá ag na páistí go léir!